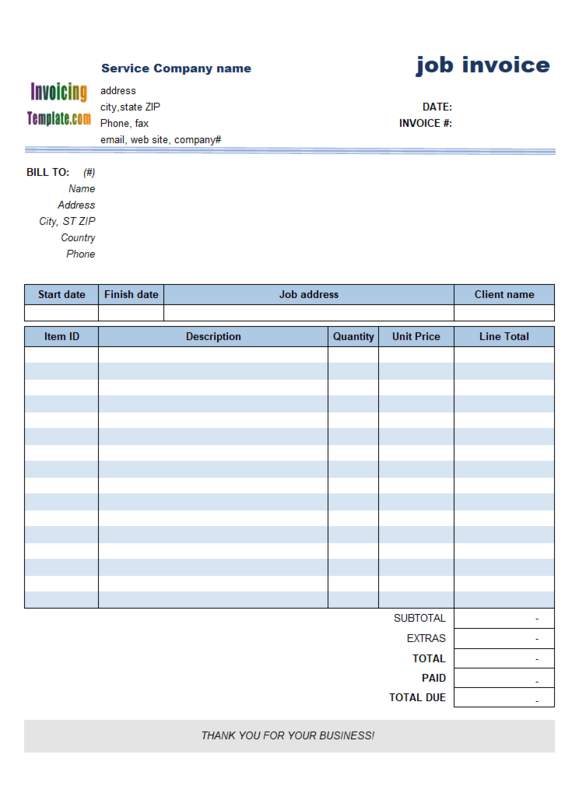 Simple Sales Invoice Template without Item Description introduces a specially invoice format layout that excludes the Description columns from the invoice form. 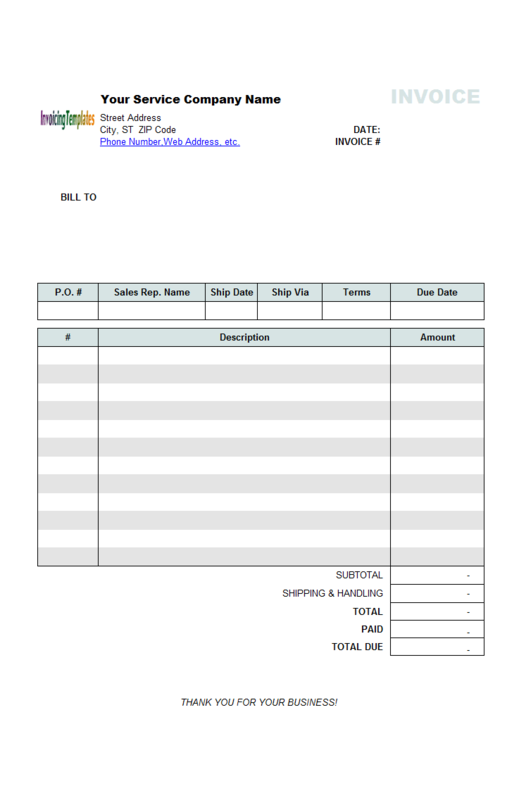 Items on this simple invoice template are identified by product# (or item#, serial#) only. 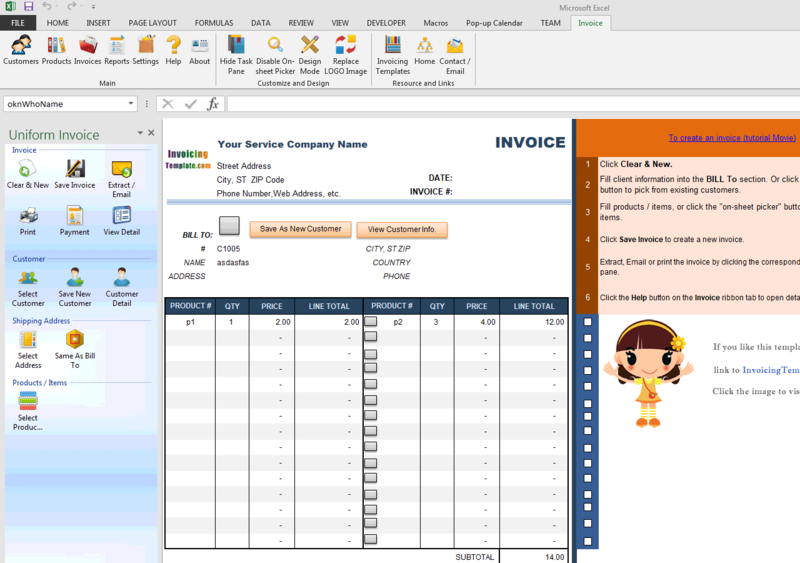 c8001 now includes the customized invoice template for the latest version of Invoice Manager for Excel. 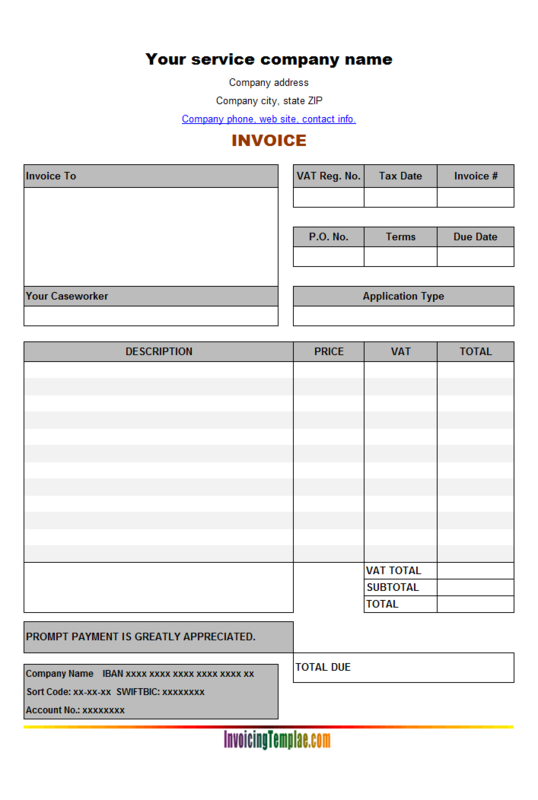 This is what you will see when you open simpleserviceinvoicetemplate.xlsx. 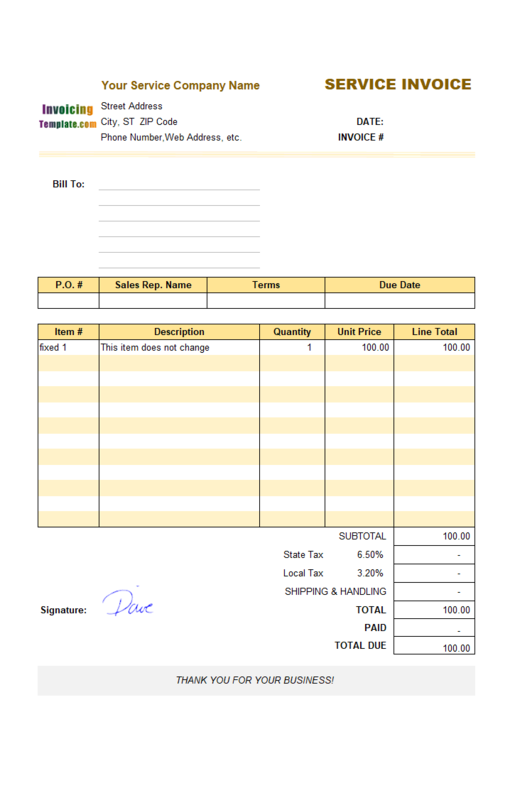 In some businesses using product descriptions (or item descriptions) is not necessary or possible, for example selling machine parts. In these situations a product# (or item#, or serial#) is more useful and practical. 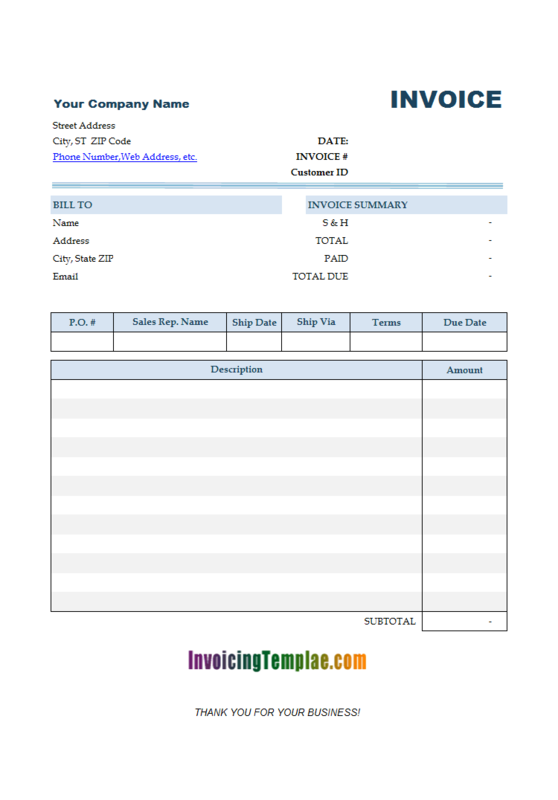 Simple Sales Invoice Template without Item Description implements such as simple invoice format by moving the description column out of the printable invoice form. 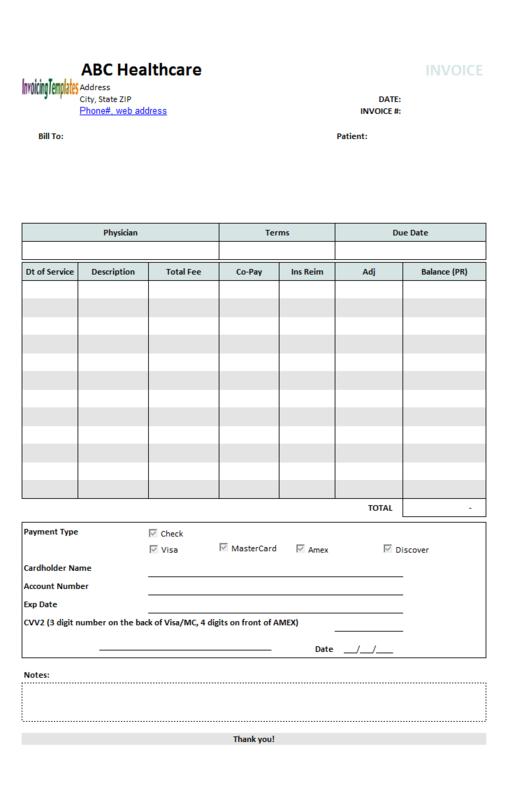 To make it compatible with Invoice Manager for Excel (namely Uniform Invoice Software) (for more information about our invoicing software, click here, or here, or here) , which requires a description to be present, we assign a formula to the Description fields located outside the printable form. 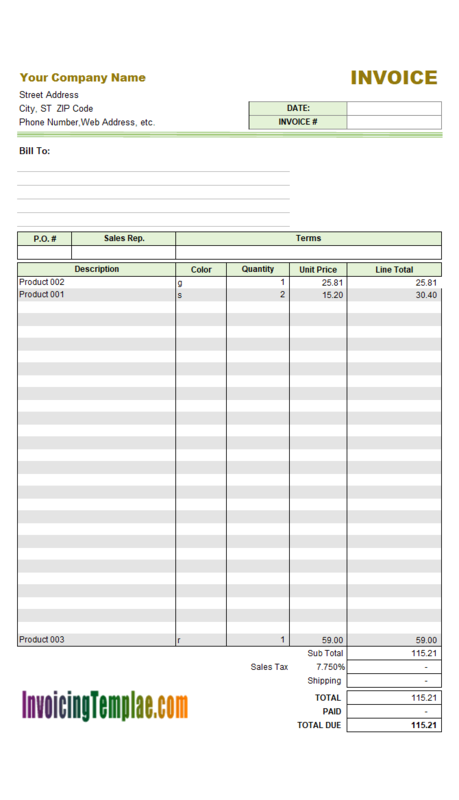 The Excel formula assigns the value of product# (or item#, serial#) to its Description field automatically so that Invoice Manager for Excel (namely Uniform Invoice Software) will not display a warning message due to the missing of a description. 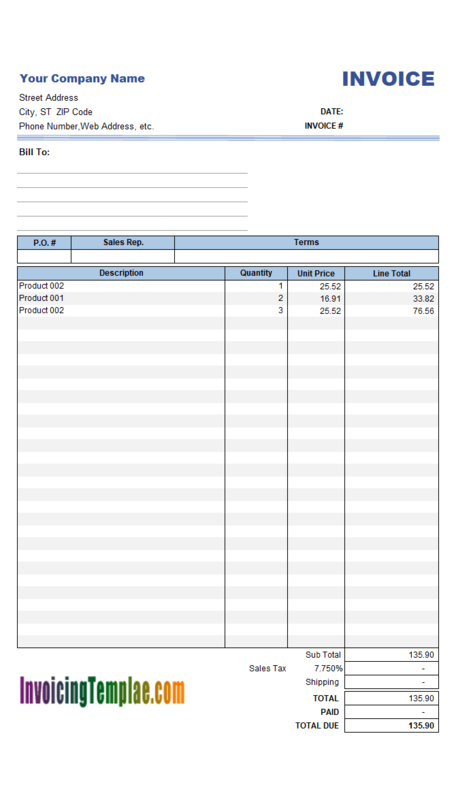 Another unique feature of this simple invoice template, as compared to the other invoice templates here on InvoicingTemplate.com, is that there are two groups of "Product #, QTY, PRICE, LINE TOTAL" columns placed side by side on the invoice body. 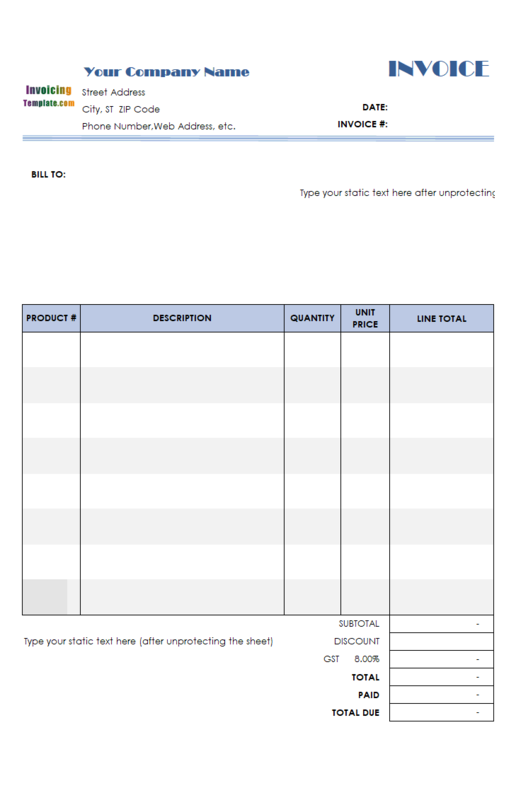 So, there are 15 lines on the invoice body, but in fact you can put up to 30 items on the single page of the invoices created by this invoice template. 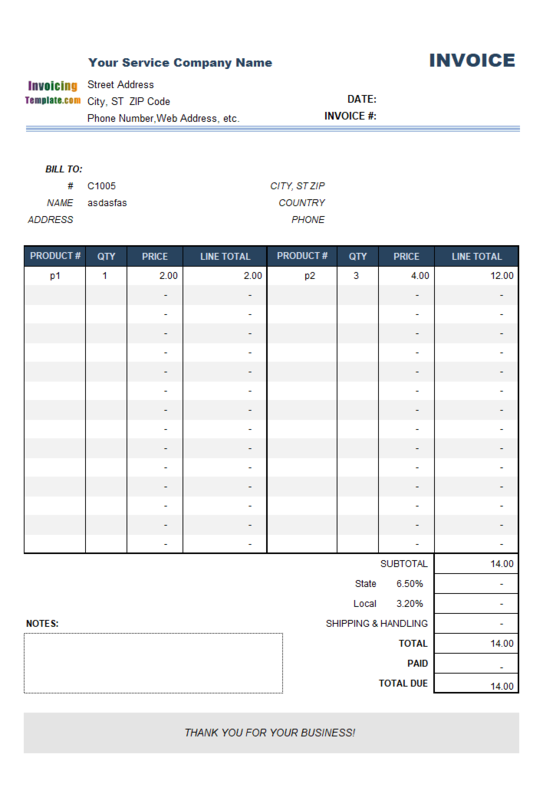 Simple Invoice Template without Item Description was originally published on office-kit.com at Invoice Template with Two Groups of Columns (C8-001) as a sample on customizing the default invoice template shipped with Invoice Manager for Excel (namely Uniform Invoice Software). 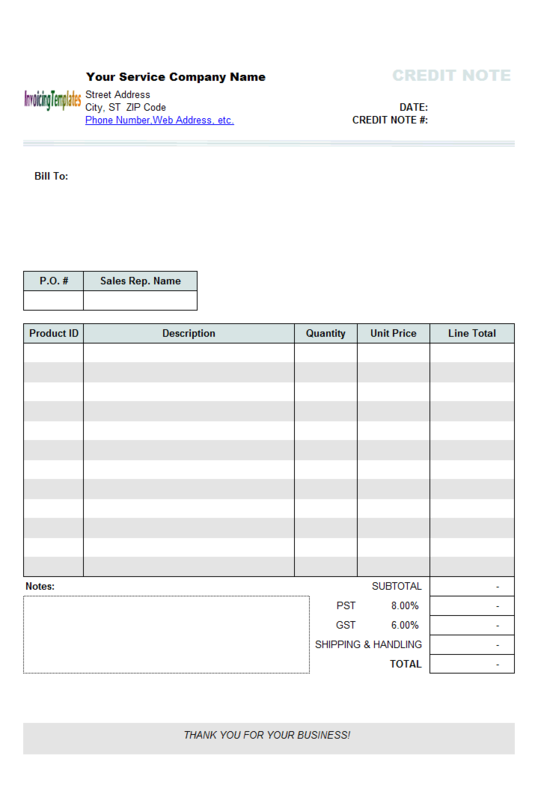 For a sales simple invoice template that includes shipping information, see Simple Sales Invoice Template without Item Description. 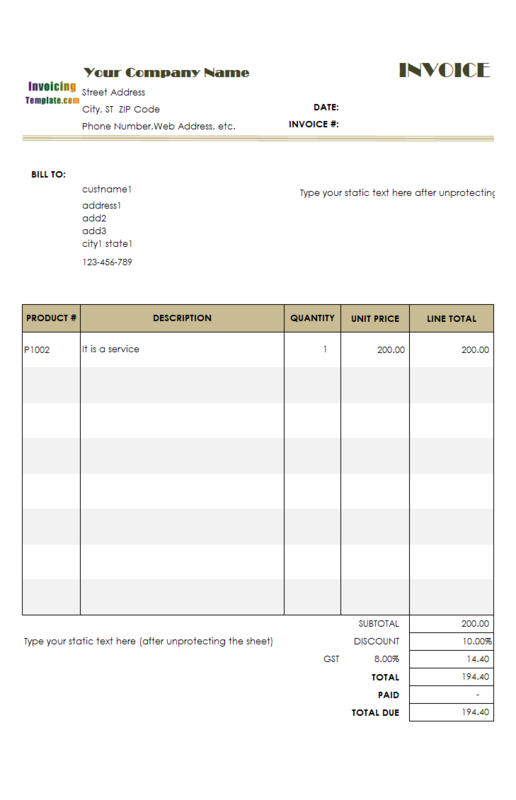 Like other form designs here on InvoicingTemplate.com, Simple Service Invoice Format without Item Description is free (offered to you at a price of 0.00USD). It works on Windows XP and all newer versions of Windows, and Excel 2007, 2010, 2013 or 2016. 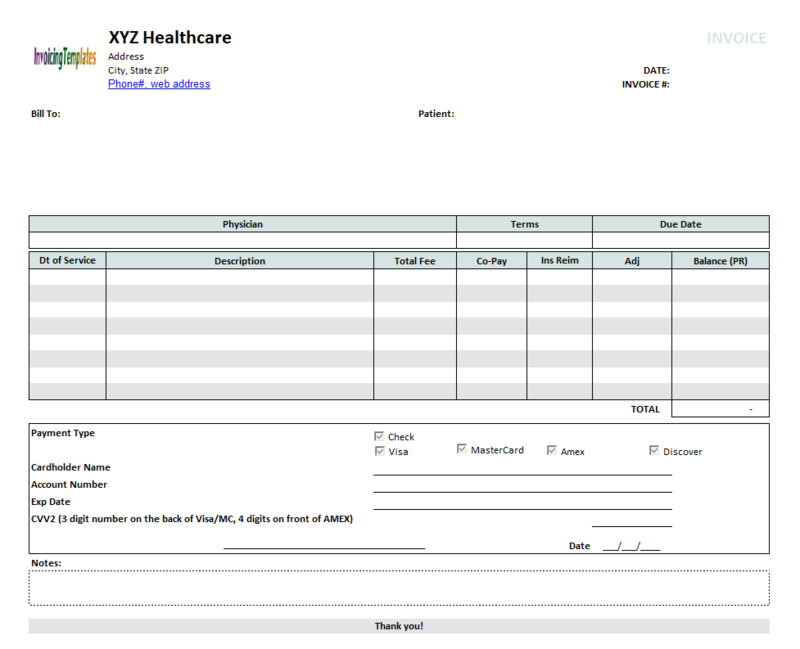 Replaced the logo placeholder "InvoicingTemplate" with "InvoicingTemplate.com". Moved the "Save As New Customer" button (shape name: "oknCmdSaveAsNewCustomer") and the "View Customer Info." 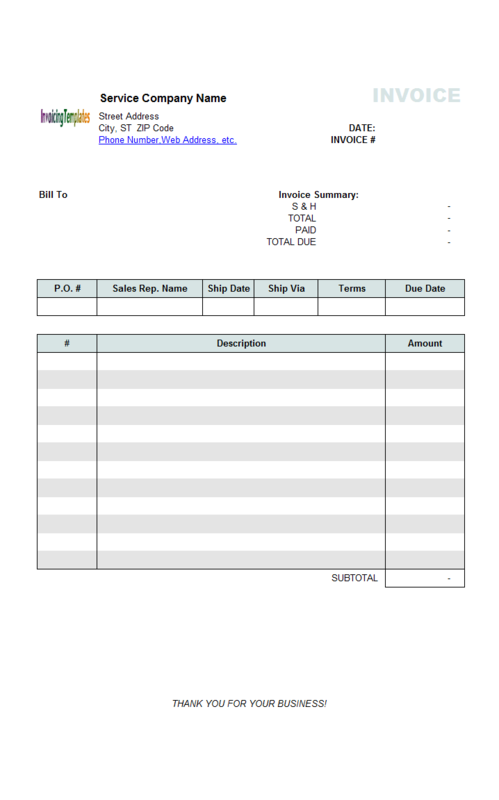 button (shape name: "oknCmdCustomerEdit") to the top of the "Bill To" section. Applied "Deep blue" color theme. Merged and centered the "THANK YOU FOR YOUR BUSINESS" message bar on the bottom of the Excel sheet. 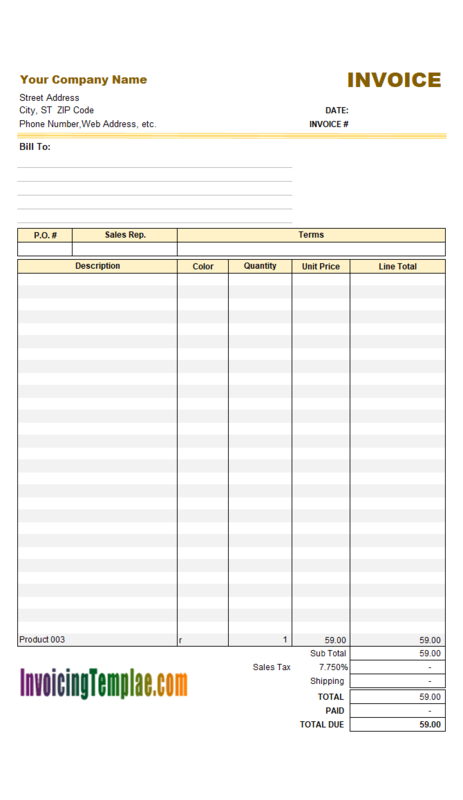 Made the printable form center horizontally and vertically.